Every year, like a child waiting to open Christmas gifts, the marketer in me eagerly awaits Machel Montano’s campaign for the Carnival season. His marketing team never fails to inspire awe and create unforgettable moments. All key components, in my opinion, to creating a brilliant campaign. I was eager to see what would follow on the heels of the 2017 ‘Busshead’ campaign. A monumental movement that brought two former enemies together in music and repaired an age-old rift. It became a rallying cry for unity in the soca music industry. I knew it would be hard to beat, but in 2018, the Double M marketing machine did not disappoint. The release of the hit ‘Soca Kingdom’ brought two soca music powerhouses together. This song has the potential to sweep away the soca monarch title from all other contenders for its music, performance and most importantly for creating history. To understand how monumental the ‘Soca Kingdom‘ song and movement is, it is important to understand the historical context and separate soca pedestals that these two industry giants own. 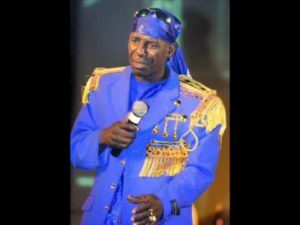 Super Blue (formerly known as Blue Boy) entered the soca arena in 1979 with his hit ‘Soca Baptist’. This was the start of an illustrious career. He went on to win the coveted Roach March title a record nine (9) times and the Soca Monarch title seven (7) times. 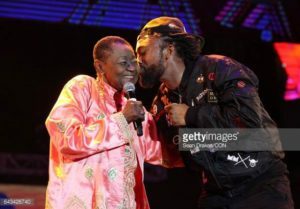 Machel Montano ventured into the soca circuit at the tender age of nine years old and went on to win eight (8) Road March titles and an unprecedented four (4) Power Monarch titles in the acclaimed International Soca Monarch competition. 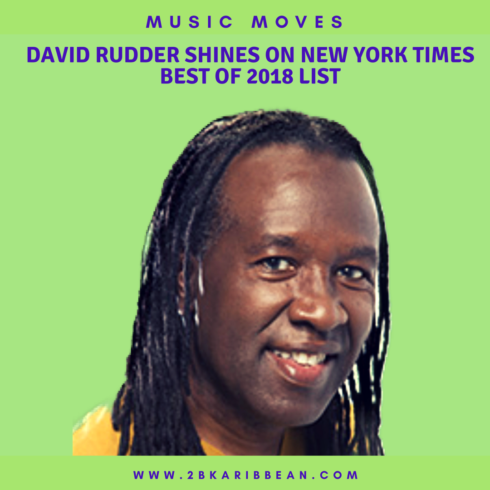 This is but a few of the many accolades and strides that he has made for soca music. Generations apart, these two artistes have made significant contributions to the soca world. In addition, with them coming together, they have created history and marketing magic for soca music. Machel Montano does not just create music; he creates a movement. Everyone loves a bit of friendly competition and no-one does competition better than Double M. When he released ‘Soca Kingdom,’ his supporters were in their glee, rallying behind him for another Road March title. His detractors, however, felt that long time ‘power soca’ contender, Iwer George, should get his chance with his 2018 offering ‘Savannah.’ The contrasting opinions have created organic buzz and free public relations like no paid promotions could ever create. Two different generations, coming together, collaborating on music is a beautiful thing to see in the soca industry. There is so much that our younger artistes can learn from the wisdom of those who already walked the journey. Although it happens a lot behind the scenes, it sets a new precedent to see it boldly placed in front of the audiences face. 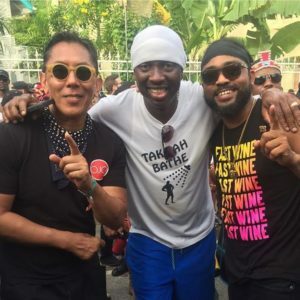 It is not the first time and will not be the last, but, with all the other elements that make a great marketing story, this one definitely makes soca lovers pay attention. Everyone was in Super Blue’s corner when he returned to the soca circuit in 2013 with his hit, ‘Fantastic Friday.’ It was the ultimate return to glory story. A successful musician succumbs to the pressures of the industry, overcomes his trials and then returns to his former glory. 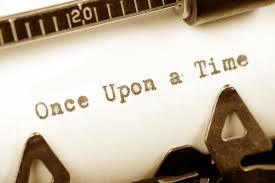 It is a story that anyone can get behind. By bringing Super Blue to the forefront yet again, Machel is continuing the narrative and bringing along all his fans to be part of writing a successful ending. Do you have some time on your hands? Here is a random exercise to try. Do a Google search for the term ‘soca’ right now. Chances are you get references to a random restaurant, a few things not related to soca and then maybe half way down the page a Wikipedia description of soca music. Now do the same search for ‘Soca Kingdom.’ The song or references to Machel Montano dominate the first two pages of Google. That is what we need in the soca music industry to own the narrative of our sound. The combination of these two soca powerhouses is a move worth taking note of, in my opinion. It is rare to witness power collaborations in the soca industry with two artistes who compete in the same space. It is rare for these collaborations to be across generations. This is a story that will live for years and will do wonders to maintain brand awareness for these two musical innovators. 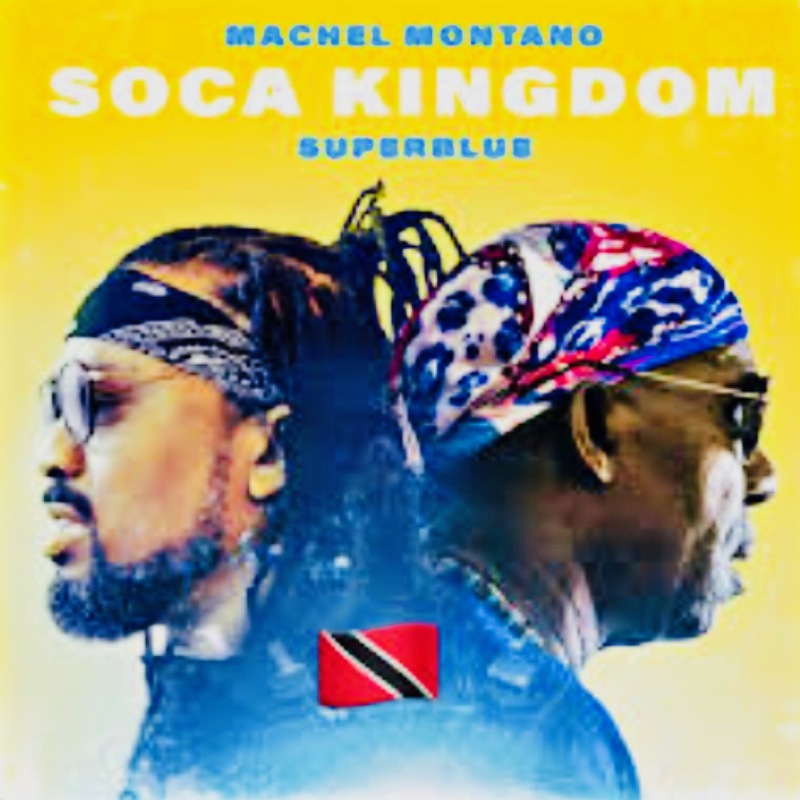 Intentional or not, Machel Montano’s and SuperBlue’s team have struck marketing gold with Soca Kingdom. Like all great campaigns, the content has stretched across multiple marketing channels. 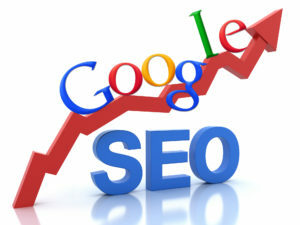 It has built attention both organically and from paid promotion. As a marketing professional, I try to stay away from fads and try to observe marketing campaigns with a clinical and objective lens. 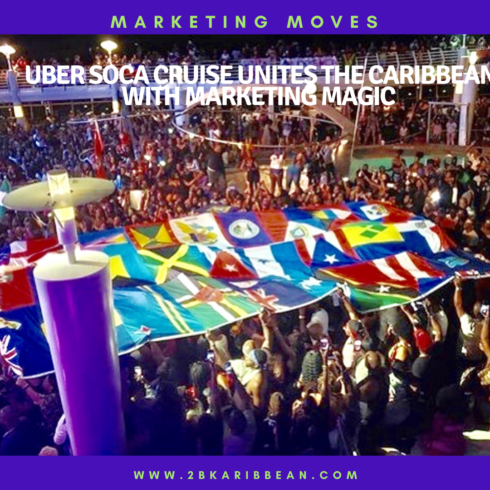 From every angle, Soca Kingdom wins for creating marketing magic for soca music that will live on for years. SOUND OFF: What do you think of the song below?